Sometimes friends, sometimes foes… always entertaining! 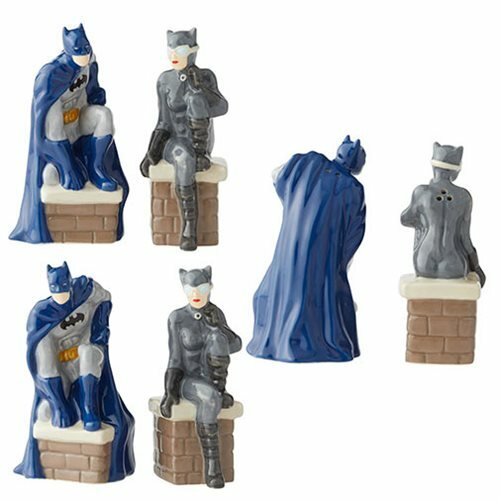 The Bat and the Cat are both represented in this terrific DC Comics Batman and Catwoman Salt and Pepper Shaker Set. They measure about 3 1/2-inches tall and are made of stoneware. Hand wash only. Not dishwasher safe. Do not microwave.